The stadium initially consisted of one main stand and terraces that together could hold about 20,000 fans. Na Julisce underwent a major development in 1975. A new main stand was built that could seat 12,000 spectators, and the overall capacity was raised to 29,000. 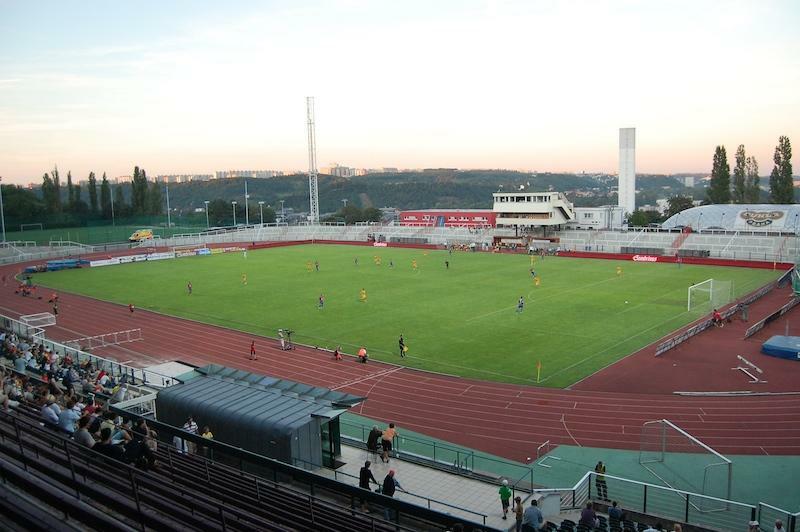 The stadium underwent a last minor refurbishment after Dukla promoted back to the top league in 2011. Na Julisce is owned by the Ministry of Defence. It is also regularly used for athletic events. While the technical capacity of the stadium is 28,800 places, only the seats at the main stand can get sold for football matches. 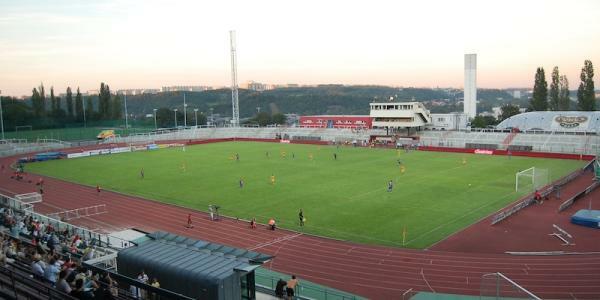 Stadion Na Julisce is located in the north of Prague at just under 4 kilometres from Prague’s historic centre. The stadium can be reached by either tram or bus. Tram 8 stops a few minutes away from the stadium at stop Podbaba, which is the last on the line. Tram 8 can be caught at metro stop Dejvická, closer to the centre at Čechův Most bridge (north side), or at Náměstí Republiky. The stadium can also be walked to from metro stop Dejvická in about 20 minutes. Bus 131 is an alternative, and passes right by the stadium. It can be caught from metro station Hradčanská. Get off at stop Juliska. Tickets for Dukla Praha matches can be bought online via Ticketportal, or at the club office at the stadium. Ticket are only sold for the main stand. There are two pricing categories. Tickets for matches in the cheapest category cost either CZK 160.00 for a covered seat or CZK 120.00 for an uncovered one. Prices for four high-profile matches are increased with CZK 20.00. For more information call +420 220 514 312 or email fotbal@fkdukla.cz. Fkdukla.cz – Official website of FK Dukla Praha. Praguewelcome.cz – Official travel and tourism guide of Prague. Dpp.cz – Prague public transport information.